The result is slightly terrifying, kind of fun, and most of all a very cynical approach to helping people find romantic partners. However, the dating apps that Dating.ai depends on for its search results are not so amused, and say the app is violating their terms. 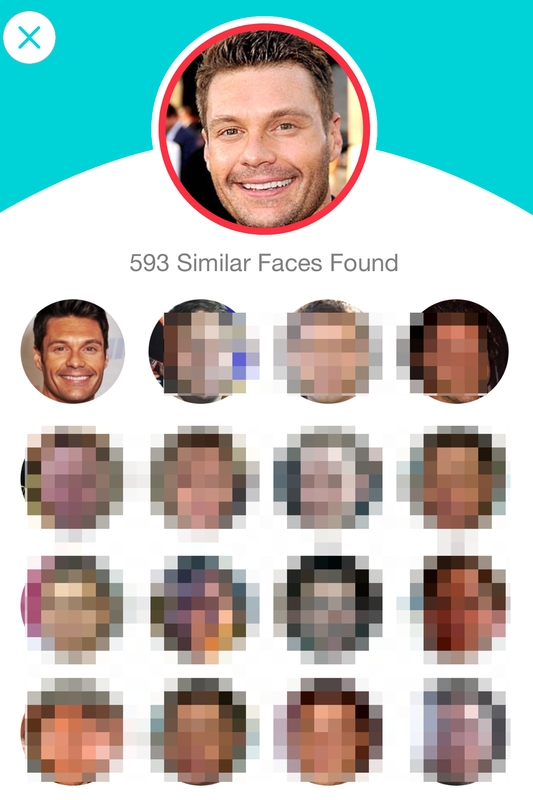 We blurred regular people for their privacy, but trust me – they *kinda* look like the celeb. 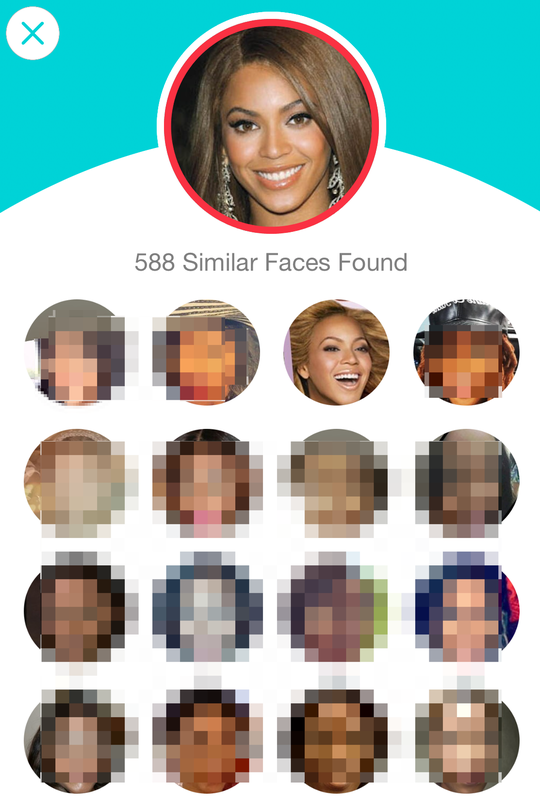 The app’s facial recognition technology works pretty well – well enough that when you try one of the suggested celebrities like Kanye West or Jennifer Lawrence, the first few matches are inevitably the same celeb (some people use celeb pics on their dating profiles, apparently). And while the rest may not look EXACTLY like the celebrity, they’re also…not totally wrong. The same goes for when we tested out photos of ourselves in the BuzzFeed office: The matches weren’t dead ringers, but there was some vague approximation of uncanny similarity. I tested two different photos of myself making different expressions in different light, and both times it picked the same 35-year-old woman from Long Island who does kinda look like me as one of my top matches. While there’s plenty of science to what kinds of ratios of faces we find “beautiful,” this app shows the shortcomings of actually applying these metrics to human desire. If you want to date someone who looks like Jennifer Lopez, it’s because she’s insanely gorgeous in a way that’s more than just the ratio of distance between her nose and ears or the spacing of her eyes. Of course there’s a bigger issue here: the privacy of the dating app users whose profiles are being used. People who sign up for Tinder might not agree to have their faces scanned on some other random app. Heath Ahrens, the founder of Dating.ai, told me he didn’t really see this as a problem. “If you’re on a dating app, you want to be found,” he said. Currently, you can limit your search on Dating.ai for men or women, but you can’t search by sexual preference (“men looking for men,” for example). A rep from Plenty of Fish (Tinder, Match, and Plenty of Fish are all owned by the same parent company, but operate separately) said that it was trying to get Dating.ai removed from the iTunes app store. “That’s news to me,” said Ahrens. Right now, the future of Dating.ai seems unclear. Ahrens and his business partner would only say that they are looking forward to working with the dating apps; Tinder, Match, and Plenty of Fish tell a different story. For now, the app is still up in the app store and still pulling Tinder profiles. We’ll update if anything changes.